Stock investment is like doing business,but we don't do it by ourself, we let others do it for us.each stock always have its Business Cycle,it depends on the type of business,it means the growth of stock in each period of time,the growth period does not equal. 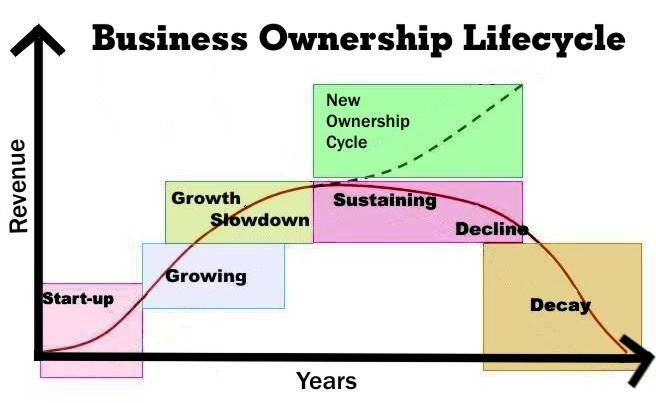 We have seen that whether we look in the macro view and micro view, it always have the Growth Cycle and the Decline Cycle,so as the product also have its own cycle,(so as our life cycle). 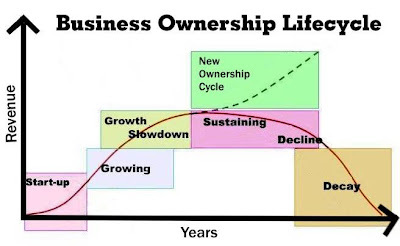 "Growth Stage",if we invest (buy that stock) we will have a maximum profit.whereas,in the "Decline Stage" we have to withdraw capital(sell stock) to invest in others businesses that are growing, that will be a better investment choice,isn't it ? 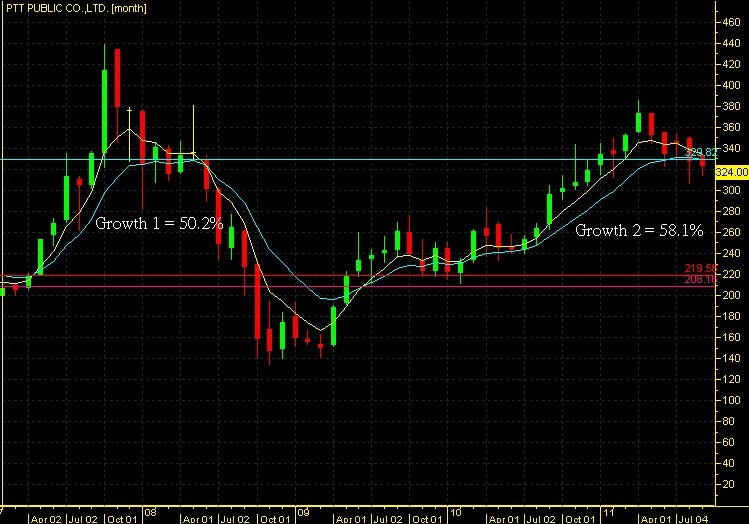 If we are investors, the technical study to read chart or graph is probably help to manage our investment efficiently. we seen the growth by technical chart like this, will you sell ? 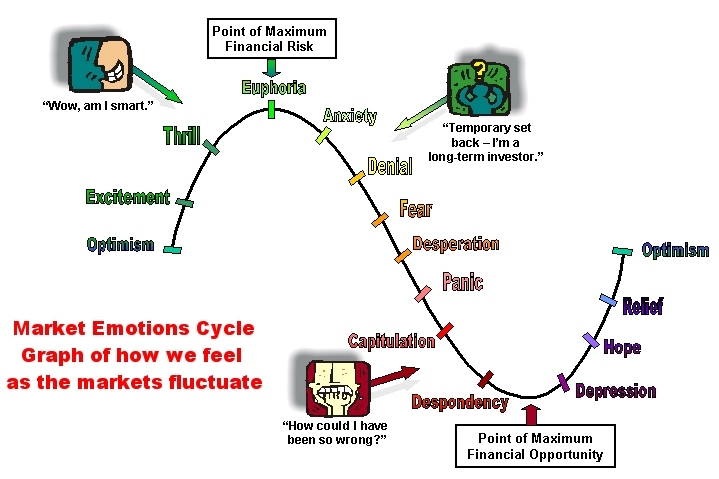 if we don't have the product,then we will find the step to jump in and buy it when the stock is dropping and is cheaper now and to keep the cheap product right, in contrast with someone who buy or sell physical gold just only by the market price and does not care about the tendency of price movement,because they can not find the step to jump in and jump out. when we look at technical chart we will have a better investment such as buy Gold ETFs in 2009 in 82$ ,then in 2.5 years price increase 145$,so the return (145-82)/82*100/2.5=30.5% yearly, really interesting growth stock,right? 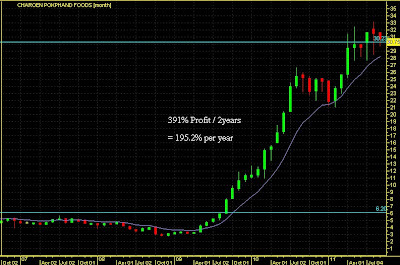 CPF is also a growth stock,just only 2 years the return was 195.2% a year, it does not matter whether we learn to study chart or not,both way can be rich but if we learn to translate chart we will know where to sell and where the decline stage is to withdraw capital in time to avoid getting stuck in the high mountain. 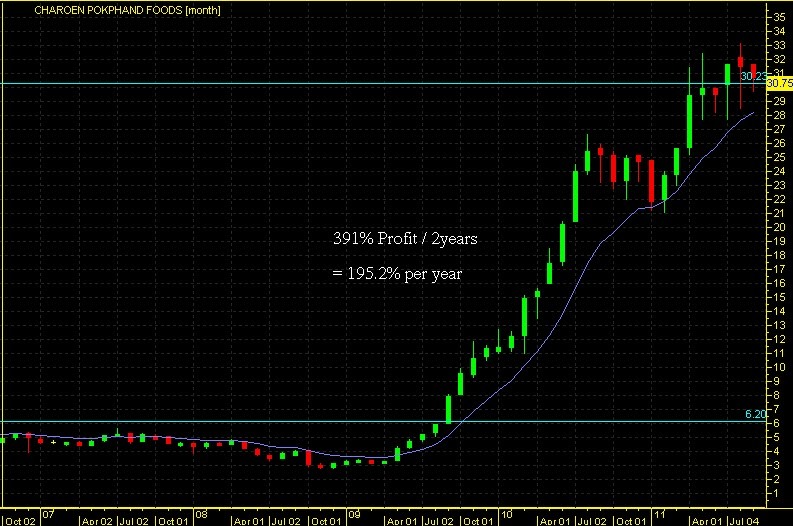 Stock PTT is a clear Cycle Stock, hold 4 years will have a return 51.8%. 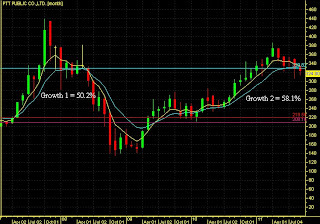 but using technical analysis to determine buy or sell signal we have a return Growth 1 + Growth 2= 50.2%+58.1%=108.3%, so we have a double profit. 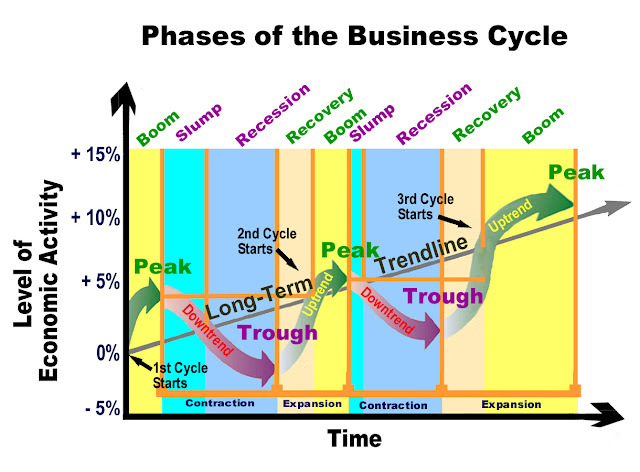 Stock investment is the same as doing business,the business have Growth Stage and Decline Stage. 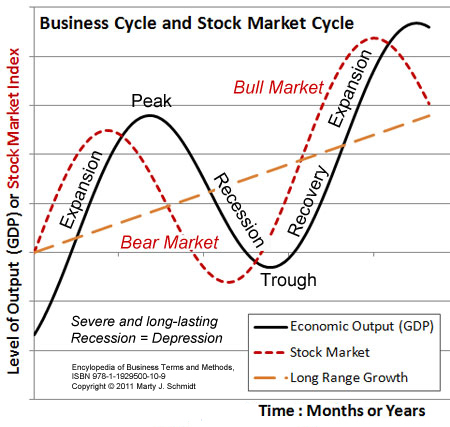 in every business we have to understand the Business Cycle of the company that we'll invest in,we also need to see whether it grow by fundamental or from Fund flow from institutional investors.by taking technical analysis to consider in stock investment will reduce the risks and increase investment efficiency, it help the portfolio increase quickly.